Did you know B.C. Place Stadium is the biggest air-supported domed stadium in the world? 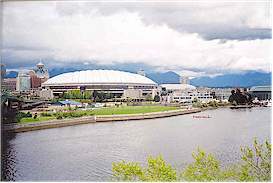 The stadium holds more than 60,000 people, and is the home of The B.C. Lions CFL football team. 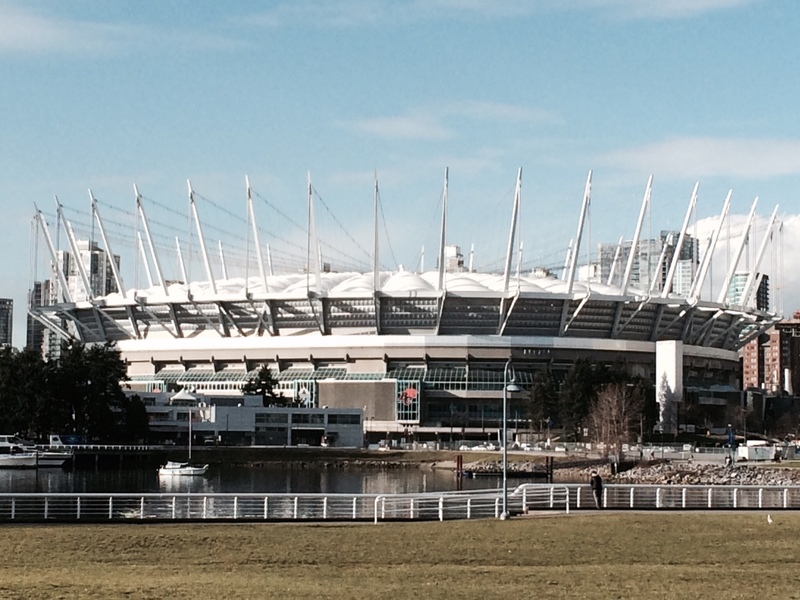 As well, many of the big-name concerts coming to Vancouver happen at B.C. Place. Take a tour of B.C. Place Stadium and get a behind-the-scenes look at the playing field, locker rooms, and lounges. You definitely won't get these opportunities during a game! I can see our seven year-old son, who wants to become a football player, getting a kick out of this tour. However, our four year-old daughter who hasn't developed an interest in sports is another matter. The cost of this tour is relatively inexpensive when you compare it to the cost of a game. Please check the website below for current rates. Also checkout the General Motors Place Tour - Vancouver. The stadium is an engineering marvel. They say the Teflon roof is only 1/30 inch thick but stronger than steel. It's a golden opportunity to see the stadium without a mob of people being there. I also wondered what it would be like to go inside a locker room.